Baby Back Carolina Style BBQ Pork Ribs are Carolina style and cook slowly on the grill, which paired with a homemade vinegar based barbecue sauce. We have a large charcoal grill, an Old Smokey Charcoal Grill, that we bring with us when we go fishing, a Pit Barrel Cooker, a smoker, a Stars & Moons Fire Pit and a Weber. When we were in Florida, just about every weekend, we would load up my van with an ice cooler, tons of fish bait, lots of food, a grill and our fishing equipment and drive over to Lake Worth and back up right to our favorite fishing spot. As the hubs got the fishing rods ready, I would set up our Old Smokey Charcoal Grill for cooking lunch and then dinner. We would stay all day. Our favorite rib recipe is the The Neely’s. 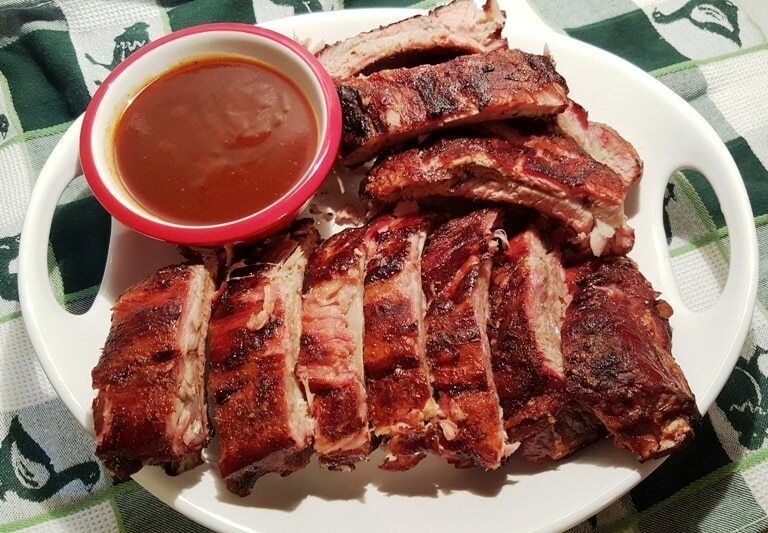 My Favorite BBQ Baby Back Pork Ribs are delicious with just the Barbecue Ribs Rub, but they really need the Barbecue Ribs Sauce, which I make in a small slow cooker. Plan on using about half a cup of the rub. Generously, coat the ribs with the rub on both sides. Don’t just sprinkle it on, rub it in very well. 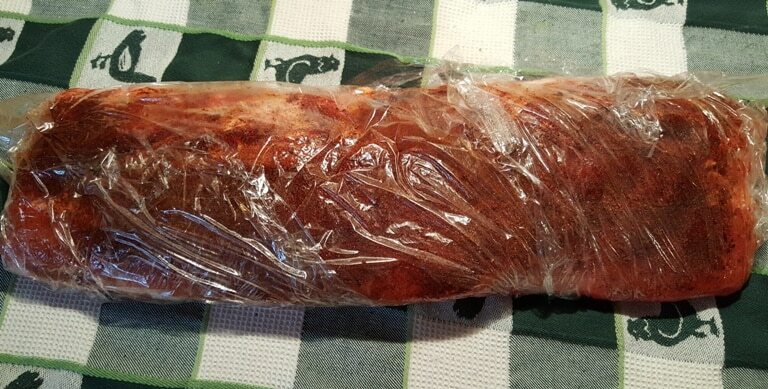 Wrap up the ribs in Saran Wrap, so that the rub sweats into the meat. I like to use a vegetable bag over the wrapped ribs and then put it into the refrigerator. It’s a double layer of protection to protect the shelves in your refrigerator from drips. 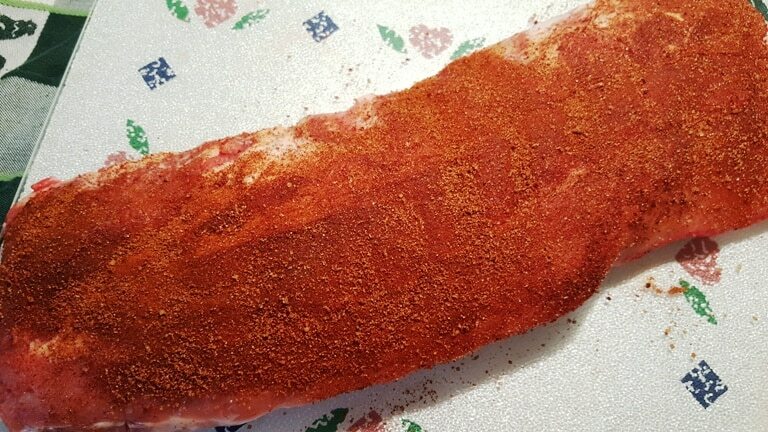 Try to plan a head and prepare the ribs with the rub the day before you plan to grill, if possible, otherwise, just prepare them the morning you are going to grill. 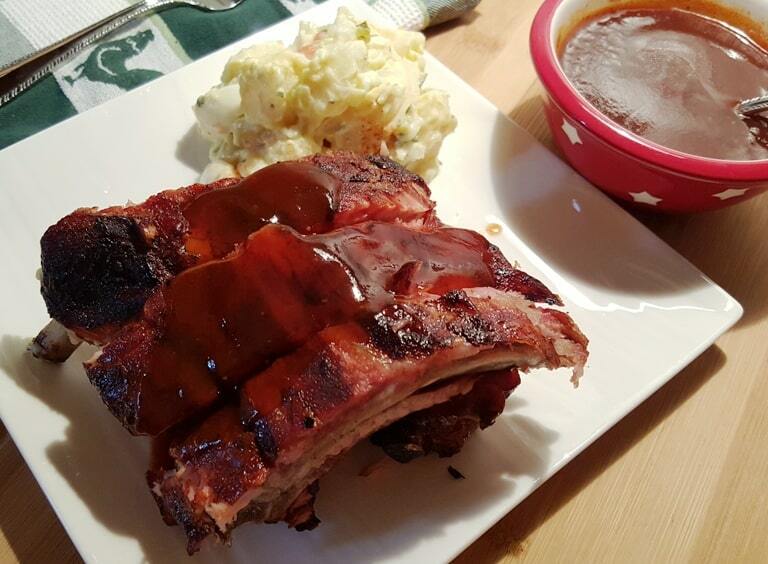 My Favorite BBQ Baby Back Pork Ribs Recipe is meant to pair with my BBQ Ribs Sauce. The three recipes balance each other to make a perfect rib. 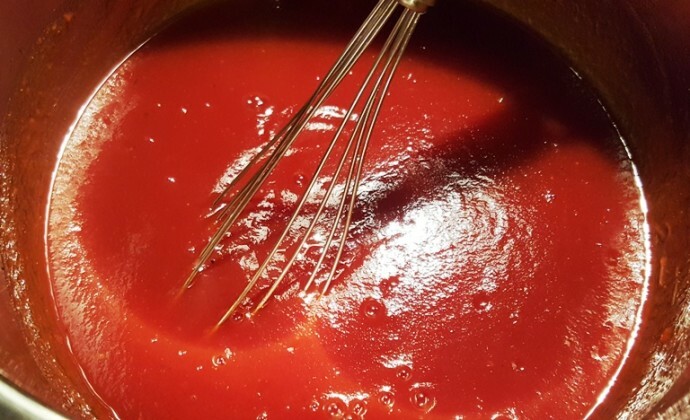 The morning of the day you plan to cook the ribs, toss all the ingredients to the BBQ Ribs Sauce into a 1.5 or 2 quart slow cooker and let cook until you are ready to eat. 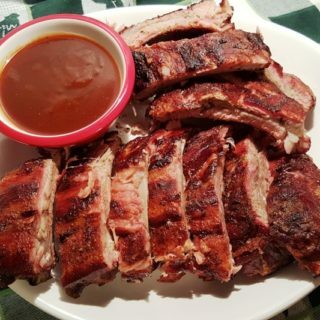 The BBQ Pork Ribs Sauce is meant to pair with the BBQ Pork Ribs Rub, so please, don’t use one without the other. They compliment each other and are not meant to be used separately. Take the ribs out of the refrigerator a half hour before you plan to grill. Prepare your grill for indirect heating. This means that the ribs will not have fire underneath them and the fire will only be on one side of the grill. If using charcoal, place the coals to one side of the grill. 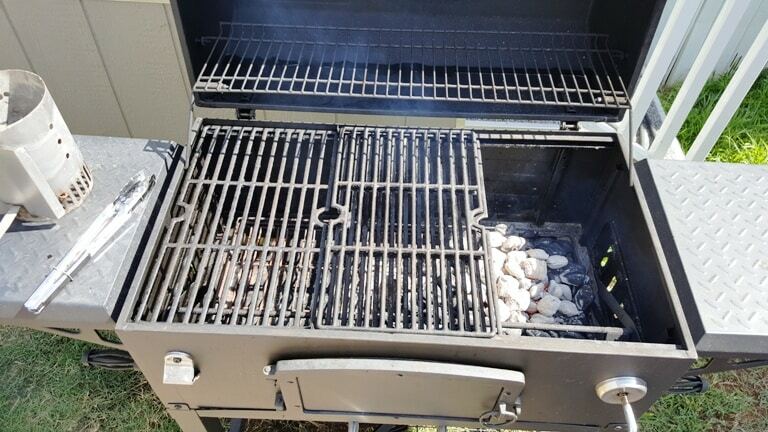 If using an electric grill, only use the burners on one side. When the coals are ready, place the ribs, curl side up on the side of the grill without the fire (indirect heating). For Baby Back Ribs, set a timer for 2 hours. 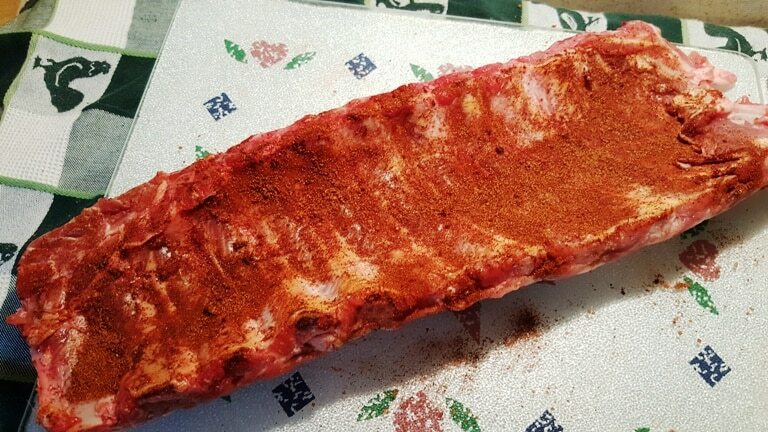 For St. Louis Spare Ribs, set a timer for 2.5 hours. Check the ribs in case they cook quicker. We used Baby Back ribs for this recipe, but we usually use the St. Louis Spare Ribs, as that is our preference. 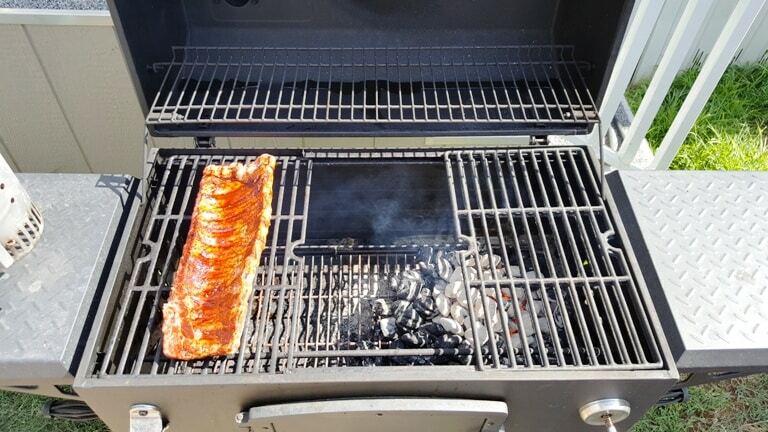 Turn the rack of ribs over and set time for one hour. The ribs are ready when you can wiggle the bones. Slice the ribs and serve with the BBQ Ribs Sauce on the side. Let each person ladle the hot BBQ Ribs Sauce over their ribs. Serve with Holiday Baked Beans, Potato Salad, Corn on the Cob or Mexican Street Food Corn on the Cob (Elote) and/or Cornbread! More Picnic Recipes to Try. Remove membrane from back part of ribs. 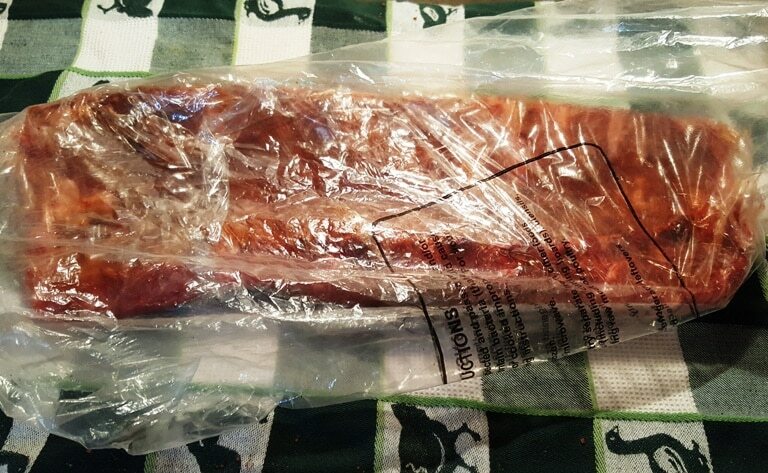 If using Spare Ribs, trim off the solid piece of meat (St. Louis Style). 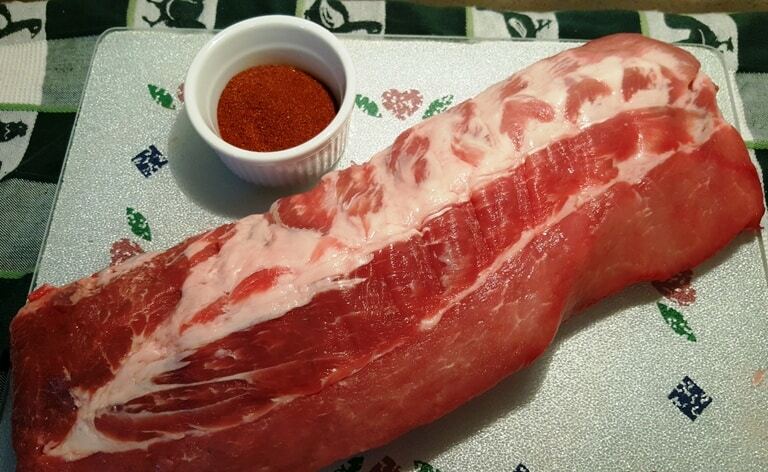 Massage ribs with BBQ Rib Rub and wrap with Saran Wrap. Place in refrigerator overnight or for at least two hours. 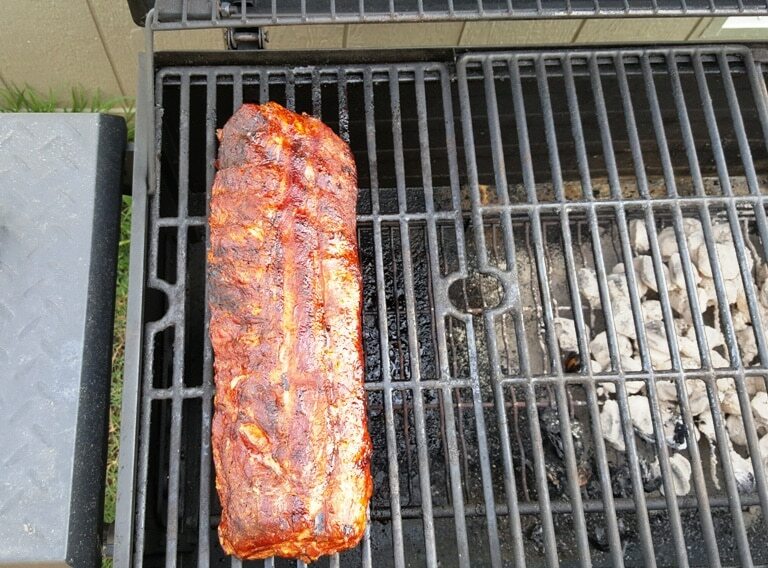 Place ribs, curl side up and cook for 2.5 hours (1.5 hours if using Baby Back Ribs). Turn ribs and cook for 1 hour more, or until the bone wiggles. Cut ribs between the bones and serve with Carolina Style Barbecue Sauce. Baby Back Ribs take about 2.5 hours and St. Louis Spare Ribs take about 3.5 hours to cook. PIN this My Favorite BBQ Baby Back Pork Ribs Recipe! OMG, they seem so delicious. I am going to prepare them tomorrow for my family. Thanks for your sweet comment. 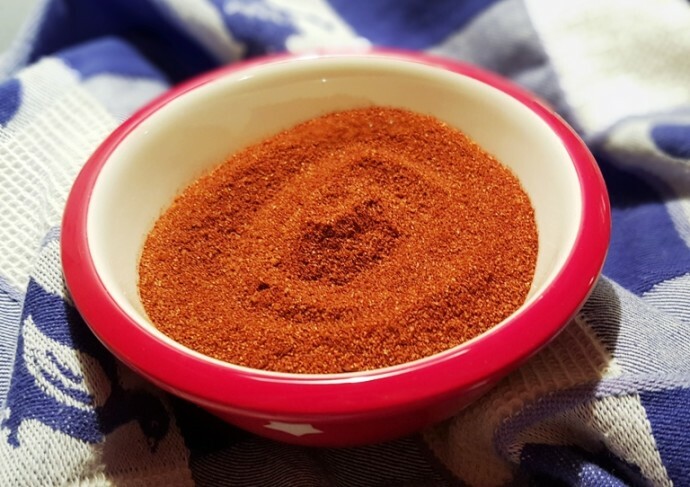 If possible, it is great to use the Rib Rub the day before you make the ribs. I like to make a big batch of the rub and then I can use it throughout the year. I sometimes also make extra sauce and freeze half for the next time we have ribs. Remember, the sauce and the rub, complement each other. I don’t understand what 2oz teaspoon means. Jill, Thanks for the recipe. Delicious!